I can't believe its December already. I haven't started my Christmas shopping yet! 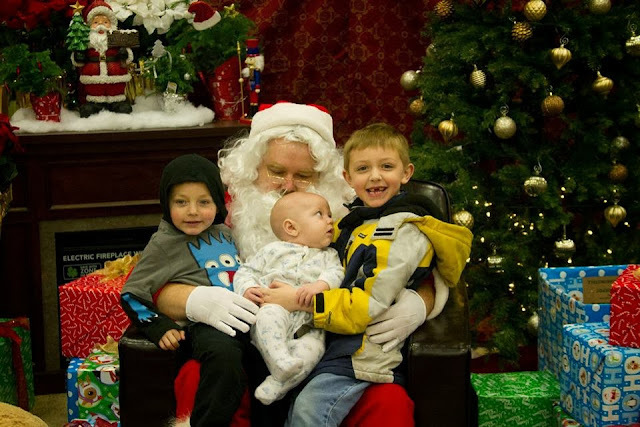 The boys went to daddy's work and saw Santa. They were so excited that they chatted up Santa for a good 20 minutes. Then they moved on to the outdoor garden center to help daddy pick up the tiny Christmas trees that blew over with the wind. Its was really cute. On to the food. - Left overs or Sloppy Joes.